Don’t look now, but there has been a shift in thinking around why companies move — or should move — workloads to the cloud. A few years ago, most of the talk was all around saving money. Look at how cheap Amazon(s amzn) Web Services are! Pennies per hour to spin up instances! We don’t need to buy more servers! What’s interesting to me is that this debate is evolving much like the discussion around Software as a Service (SaaS) did a decade or so ago. Initially, when Salesforce.com(s crm) was coming into its own, most of the sales pitch was around price. Salesforce was so much cheaper than Siebel Systems. (Remember Siebel Systems? It’s now part of Oracle). It has always been about scaling resources quickly not minimizing dollars. But a good scaling down strategy WILL save money also. The problem is that the same thing we do in our On-Premise servers we do in our Cloud instances… we over-spin. What’s worrisome to me is that no one, not even the vendors, are thinking about ease-of-use, when this is the first thing they should be concerned with. Look at the CRM software space in general… including Salesforce, CRM software has seen below 50% adoption rates consistently over the past ten years. TEN YEARS. I don’t care who you are, that’s terrible, especially for industry margins. It means something is terribly wrong. You know what that is? Salesforce just wants to sell you. Buyers just want to get something that works. But until they’re in the swamp, they never think about how easy that journey is actually going to be. Salesforce doesn’t want to talk about ease-of-use because they have a very hard to use program. And since no one is talking about simplicity, no one knows that this is important to look for. Even when adoption fails, the blame is always on the user because they didn’t implement the software well enough. Bah! I say give me a simple piece of software and I’ll show you exponentially increased adoption rates for any industry. THAT is the real reason to adopt cloud systems. Not just for the agility, or the ability to update everyone on the fly, or the missing necessity of having a dedicated IT department… but because it’s easier in all ways than on-premise solutions. 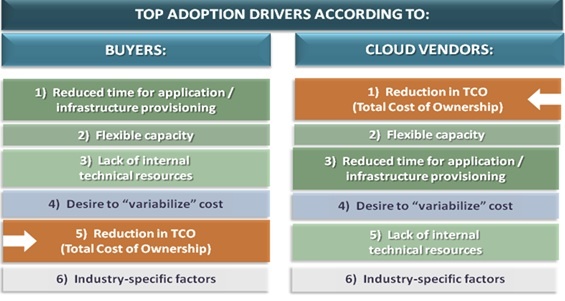 Lets not forget about why the cloud vendor wishes to lock in contract terms. Like any managed services offering, there is a huge investment in the personnel, their capabilities, tools, and the actual deployment of services to the customers hosted in a cloud environment. The inter network and systems complexities, the security considerations, data management incl DR, monitoring and reporting, the management systems and other related products/apps licensed at enterprise levels. There is an IT team of considerable capability and cost to feed behind an ‘aaS’ model, so when offering these services you want to get an ongoing annuity return on your HR and infrastructure investment. How else can you acurately forecast your cost of doing business and plan further investment ? The custromer too wants stability when it all boils down, they want to feel like they are going to be looked after for the next 3 years, that you have the technical capability to migrate their business critical apps. I dont believe they are more interested in how quickly they can move on to a slightly lower cost per hour of I/O by taking up month to month service arrangements. Yes, different technology, same story. I was pretty shocked the other day when I heard a sales rep lead with cost reduction for cloud. To me, this is a silly lead. All you’re doing is chasing a small number of dollars down the rat hole. If you can create value for your customer, you will have a happy customer. End of story. Amen Barb. Interestingly though the agility and financias really tie together. Our here in NYC the banks are increasingly waking up to the potential of transforming their infrastructure assets from a fixed and absurdly chunky investment (“You’re telling me we need another data center! ?”) to a variable model and the numbers are extremely compelling capital efficiency (capital agility?) story. So it’s not so much about “do it cheaper”, it’s about matching the supply and demand more intelligently. The operational agility side then puts the business case over the top. Finally they starting to focus on the right reasons to move to a cloud solution. Moving to cloud was never about saving money, that was just a nice outcome when that did happen. Now we just need some more private cloud vendors and a good balance point between what a company will put in a public cloud and what they will keep private. As business become more product-centric and less IT-centric, the move to cloud-based services means you can focus on making a lot of money, not saving little bits of it. When I moved my business unit completely onto AWS from a legacy data center, cost was not the major consideration. I wanted to be able to spin things up and down instantly to support innovation. I wanted freedom from the tyranny of our IT department! Just saw a customer being sold features they will never need. If itâ€™s such a great deal, so easy, why does salesforce make customers sign a 3 year contract? If it adds value, why not sell month to month? Earn the customer business every month. Easy to turn up, turn down – that’s what they claim. So stop the long contracts. They have long contracts for a reason. They know you will leave after the first 3 months. @dean Good point. SaaS used to be sold as easy-on-easy-off so i was surprised to learn a few years ago that most customers have to pay for a year in advance and usually are put into longer-term contracts. So much for scaling up and down …. will the same thing happen in IaaS???? i’m sure that’s a possibility..
Customers want to build out applications or see a return on investment as fast as possible regardless of the project; cloud is an enabler of faster iteration/agility. It’s good to see the market validate time to business value is the most powerful factor in adopting cloud, not ownership cost. I think Scott’s a partner with EG, not an analyst, FYI. It’s the same argument for most disruptive technologies and service models. Remember when the marketing hype around VoIP was all around saving money? It turned at that very few companies saved money on toll charges. The value was in the productivity and capability that followed the implementation of VoIP. VoIP made applications that were not possible now standard features of enterprise voice systems. The same with an adjacent technology to Cloud, VDI. VDI has promised savings on hardware and software licensing. What enterprises normally find is that they shift costs from one charge code to another. What the focus has become is again capability and operational excellence. The discussion around Cloud has now morphed into how transforming the service model to a *aaS model enhances an organization to meet its mission. yah, the more things change…..